Enjoy the largest flowers on any abelia! 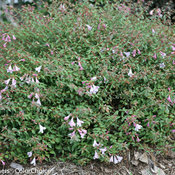 Pinky Bells® abelia grows as a tight and tidy mound of glossy foliage, bearing extra large pink-violet blooms all summer long. New growth flushes red for an extra-colorful display. 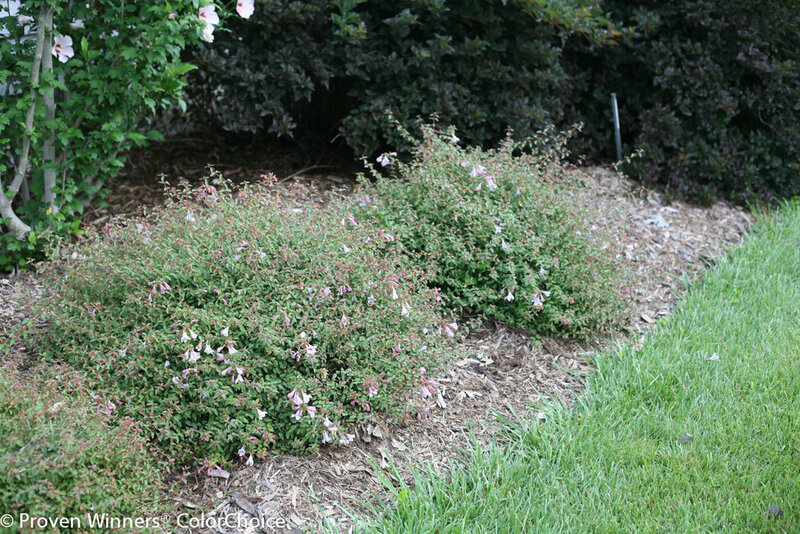 This abelia is an excellent choice for edging beds or for strategically siting at corners or curves. 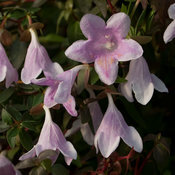 Its elegant fountain-like habit makes it especially well-suited to planting along or atop walls where its big bell-shaped flowers can be truly appreciated. 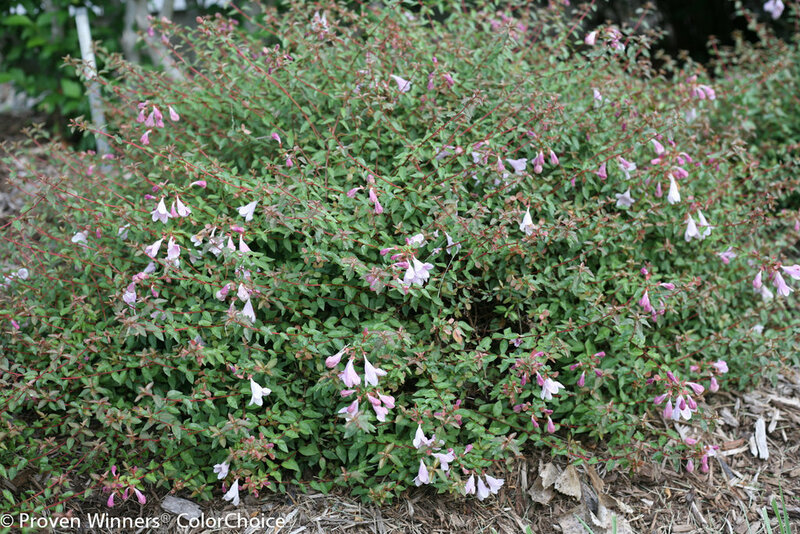 With its low-growing, neat habit, Pinky Bells™ abelia needs little trimming to stay looking great. Once the plant has been growing a few years, you may want to trim out any dead wood in early spring, just as the new growth begins to appear (this lets you clearly see what is alive and what isn't). If the plant needs pruning, do so in spring. 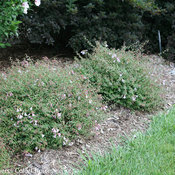 If you wish, fertilize in early spring with a granular fertilizer formulated for woody plants, like a rose fertilizer. Plant where it gets at least a few hours of sun each day for the most flowers and the bushiest growth.